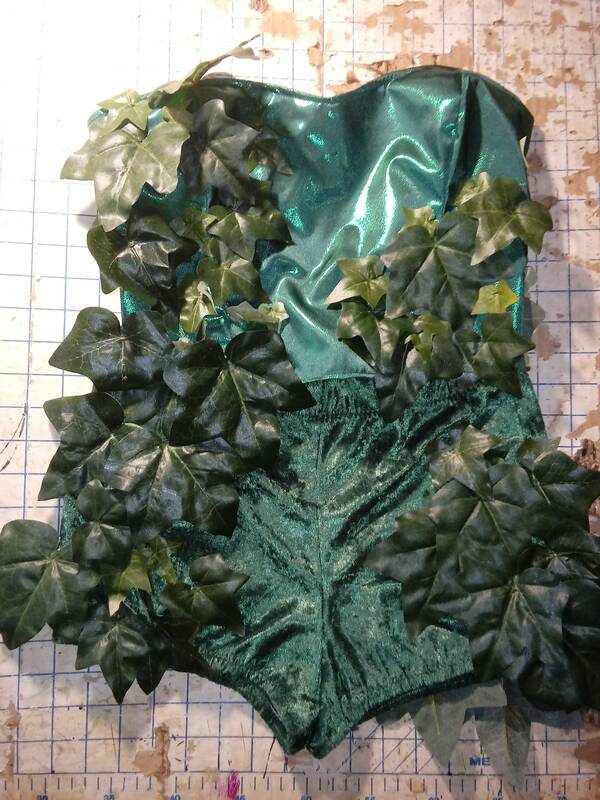 Bring Batman comic siren Poison Ivy to life in this custom made cosplay outfit. 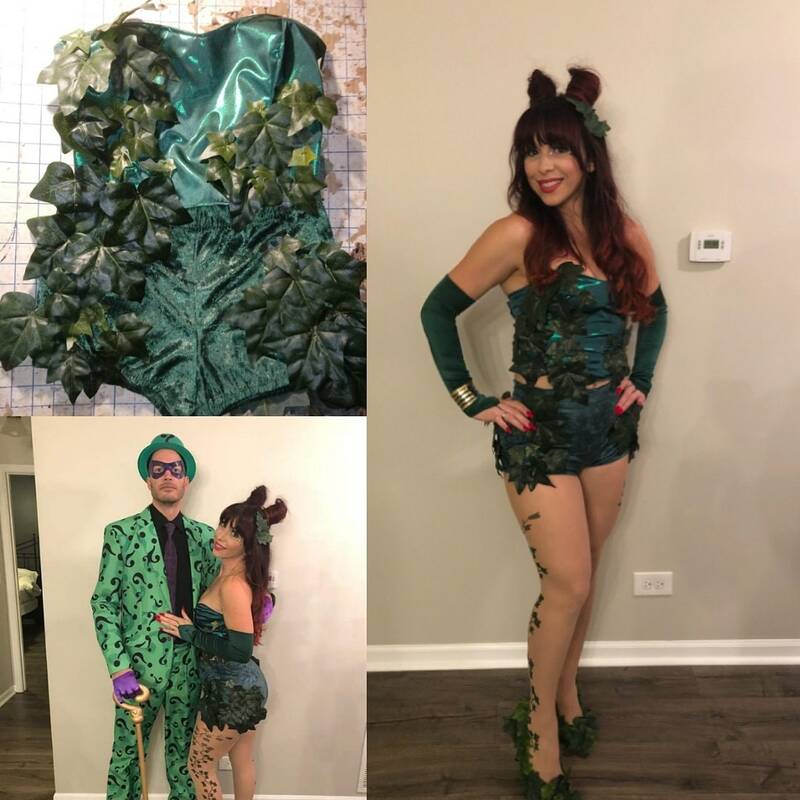 This Batman villain costume includes the corset top and velvet booty shorts, both decorated in a flattering cascade of artificial ivy leaves and foliage. 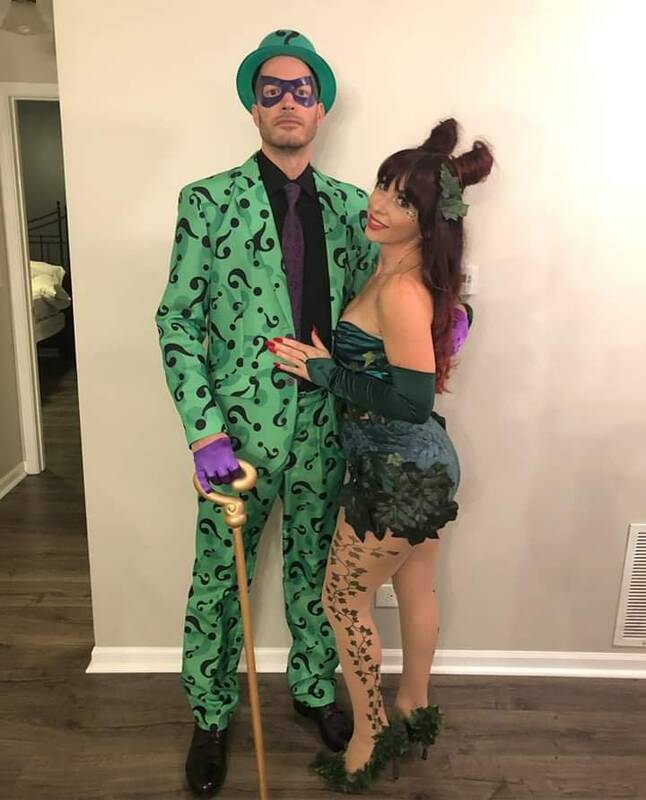 The costume is made to order, using your measurements, please provide bust, bra cup, waist, and hip measurements when ordering. 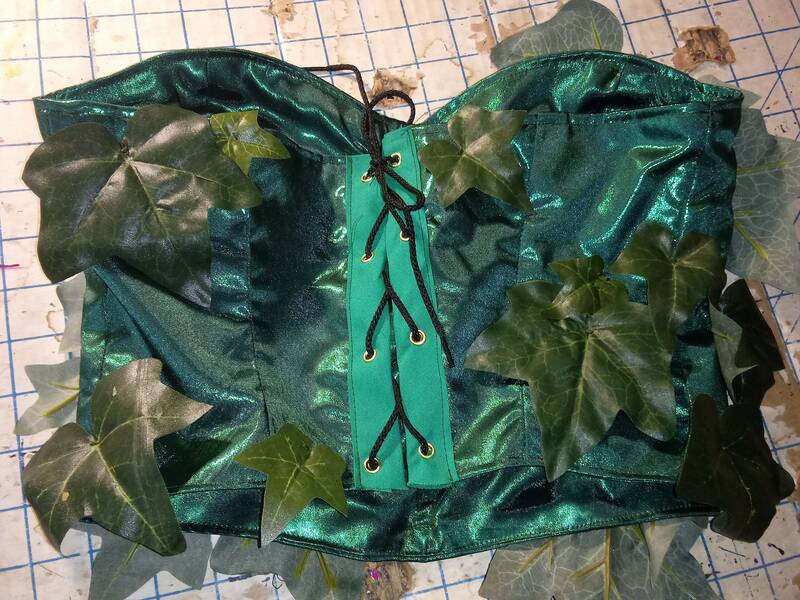 Corset top is fully boned for support, and fully lined for comfort, and laces up the back, with a sweetheart neckline. 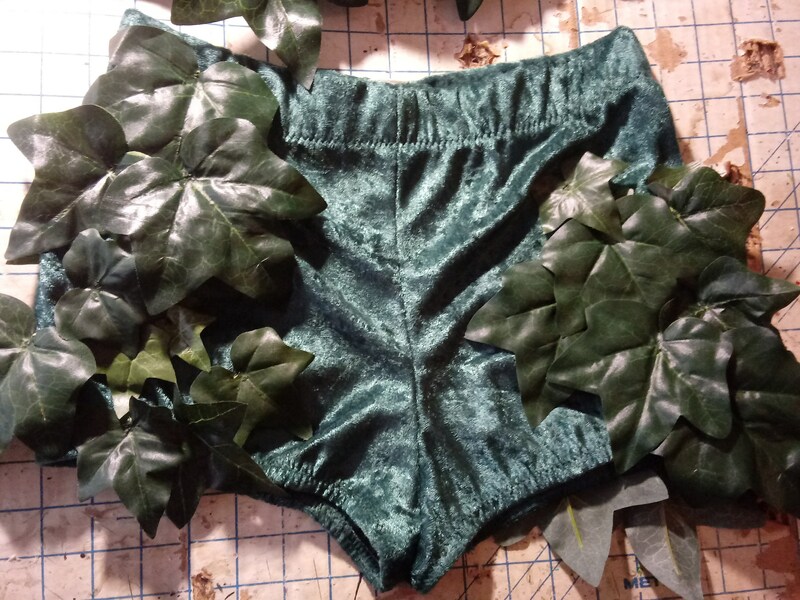 Shorts are made from panne velvet. 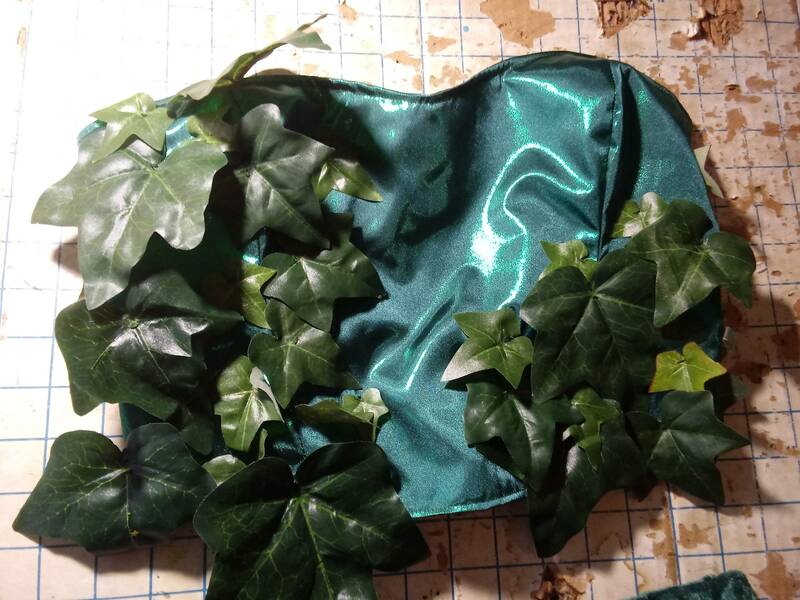 The Poison Ivy costume is completely customizable, if you'd prefer a different silhouette, send me a message! 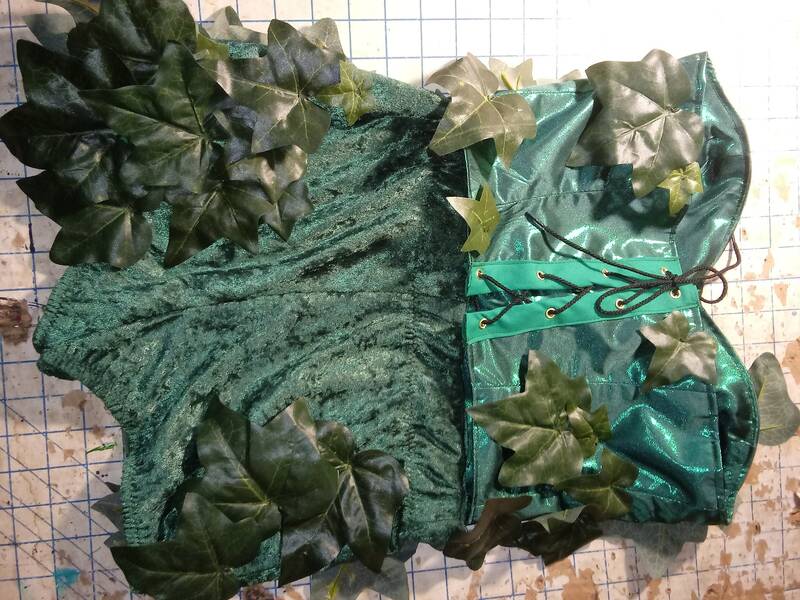 Costume is made to order, please allow 2-3 weeks for completion. 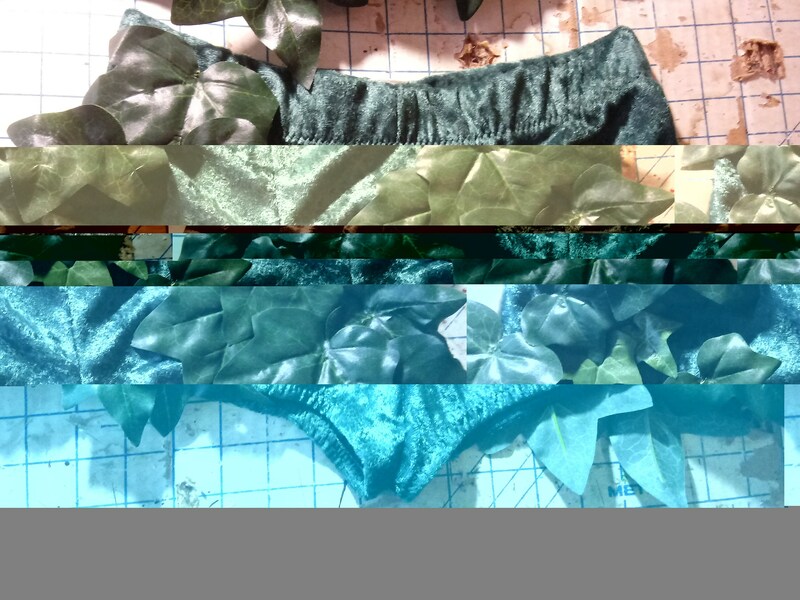 If you need it under that deadline, send a message and I'll see what I can do. Rush charges may apply.